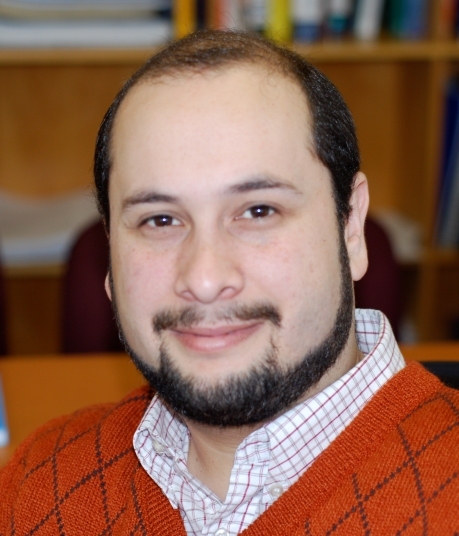 Dr. Marcos E. Orchard is Associate Professor with the Department of Electrical Engineering at Universidad de Chile, Associate Researcher at the Advanced Mining Technology Center, Associate Researcher at the Advanced Center for Electrical and Electronic Engineering, and Project Leader at the Lithium Innovation Center. His current research interest is the design, implementation and testing of real-time frameworks for fault diagnosis and failure prognosis, with applications to battery management systems, mining industry, finance, and crime risk prediction. His fields of expertise include statistical process monitoring, parametric/non-parametric modeling, and system identification. His research work at the Georgia Institute of Technology was the foundation of novel real-time fault diagnosis and failure prognosis approaches based on particle filtering algorithms. He received his Ph.D. and M.S. degrees from The Georgia Institute of Technology, Atlanta, GA, in 2005 and 2007, respectively. He received his B.S. degree (1999) and a Civil Industrial Engineering degree with Electrical Major (2001) from Catholic University of Chile. Dr. Orchard is an internationally recognized expert in the field of fault diagnosis and prognosis, Bayesian filtering in dynamic non-linear systems, stochastic processes and sequential Monte Carlo methods. My research interests include system identification, fault detection and isolation (FDI), failure prognosis, and statistical process control. Amongst the techniques and approaches that I am familiar with I can mention sequential Monte Carlo methods (Particle Filtering), Kalman filtering, multivariate statistical analysis (PCA and PLS), wavelet analysis, fuzzy expert systems, fuzzy predictive control, neural networks. At the moment, I am focused on the study of uncertainty representation and management in FDI/prognosis frameworks using sequential Monte Carlo methods (particle filters) in nonlinear, time-varying, and non-Gaussian systems. More information may be found in my publications. CORFO: Atacama Module and System Technology Center (AtaMoS-TeC). Work Package 4: Operation & Maintenance Development (WP4). Universidad de Antofagasta, Universidad de Chile, Universidad Técnica Federico Santa María, Universidad de Concepción, Universidad Adolfo Ibáñez, CEA INES (France), ISC Konstanz (Germany), Fraunhofer-Chile, and Phibrand S.A. (2018-2023). FONDEF IDeA ID18I10379: “Desarrollo de un Modelo de Inteligencia Artificial para la Optimización del Rendimiento de Baterías IonLitio en Vehículos Eléctricos,” INACAP (Sede Osorno) - Universidad de Chile (2018-2020). Conicyt REDES-170031: Prognostics and Health Management in Electro-mobility, PI: Marcos Orchard (U.Ch. ), Co-PIs: Kamal Medjaher (ENIT), and Williams Calderón (U.Ch.). Center of Energy (University of Chile)-Tarbes National School of Engineering (2018-2019). FONDEF IDeA ID17I10140: “Sistema de Monitoreo para Diagnóstico y Pronóstico de Daño Estructural en Turbinas Eólicas,” Director: Rodrigo Astroza (Universidad de Los Andes), Director Alterno: Marcos Orchard (Universidad de Chile) (2017-2019). FONDECYT Project 1170044: “Prognostics Performance Metrics based on Bayesian Cràmer-Rao Lower Bounds.” PI: Marcos Orchard (U.Ch). Faculty of Mathematics and Physical Sciences. Department of Electrical Engineering. Universidad de Chile (2017-2020). FONDECYT Project 1170683: “Robust Distributed Predictive Control Strategies for the Coordination of Hybrid AC and DC Microgrids.” PI: Doris Sáez (U.Ch. ), Co-PI: Marcos Orchard (U.Ch). Faculty of Mathematics and Physical Sciences. Department of Electrical Engineering. Universidad de Chile (2017-2020). Conicyt REDES-150083: Control Strategies and Hardware Topologies for the Operation of Energy Storage System in Microgrids, PI: Juan Yuz (UTFSM), Co-PIs: Roberto Cárdenas (U.Ch. ), Doris Sáez (U.Ch.) and Marcos Orchard (U.Ch.). AC3E UTFSM-University of Waterloo (2016-2017). Conicyt PIA ACT1405, "Procesos fundamentales en física de plasmas espaciales combinando instrumentación, observaciones, teoría y simulaciones," Programa de Investigación Asociativa, CONICYT. Director: Juan Valdivia (UCh), PIs: Marcos Díaz (UCh), Marcos Orchard (UCh), Marina Stepanova (USACH). Faculty of Sciences. Universidad de Chile (2016-2018). Ministerio del Interior y Seguridad Pública, Subsecretaría Prevención del Delito, Proyecto 147/2015, "Desarrollo de Software Computacional de un Sistema Predictivo del Delito Urbano y Rural para Carabineros de Chile," Director: Raúl Manasevich (U.Ch. ), Alternate Director: Marcos Orchard (U.Ch. ), CEAMOS - Universidad de Chile (2015-2016). Innova-Chile CORFO Project 15IPPID-45859, "Integración de Dispositivos de Almacenamiento Energético Secundario usando Baterías Betavoltaicas," Researcher, Academia Politécnica Militar de Chile (2016). FONDECYT Project 1151476: "Cubesat Platform for Space and Technology Research". PI: Marcos Diaz (U.Ch. ), Co-PI: Marcos Orchard (U.Ch.). Faculty of Mathematics and Physical Sciences. Department of Electrical Engineering. Universidad de Chile (2015-2017). FONDECYT Project 1151213:"Information and decision theory applied to the measurement of quantities of astronomical interest: The case of ground- and space-based astrometry and photometry". PI: René Mendez (U.Ch. ), Co-PIs: Marcos Orchard (U.Ch. ), Jorge Silva (U.Ch. ), Ernest Michael (U.Ch.). Faculty of Mathematics and Physical Sciences. Department of Electrical Engineering. Universidad de Chile (2015-2017). FONDECYT Project 1140774: “Novel estimation and prognostic techniques for the analysis of state-of-charge and state-of-health degradation in energy storage devices”. PI: Marcos Orchard (U.Ch). Faculty of Mathematics and Physical Sciences. Department of Electrical Engineering. Universidad de Chile (2014-2016). Conicyt REDES-130029: Generation of International Networking between International Research Centers, PI: Marcos Orchard (U.Ch.). Faculty of Mathematical and Physical Sciences. Department of Electrical Engineering. Universidad de Chile (2013-2014). CSIRO-Chile International Center of Excellence (Innova-Chile CORFO); Program 3-Project 1: "Intelligent Management Systems for Equipment". PI: Marcos Orchard (U.Ch., 2012-2015). Innova-Chile CORFO Project 11IDL1-10409: “Enfoque Probabilístico Basado en Modelos para la Estimación en Línea del Estado-de-Salud/Estado-de-Carga y Caracterización del Perfil de Uso de Baterías de Ion-Litio” PI: Marcos Orchard (U.Ch.). Faculty of Mathematics and Physical Sciences. Department of Electrical Engineering. Universidad de Chile (2012). FONDECYT Project 1110070: “Risk-Sensitive Particle Filtering Framework for Failure Prognosis and uncertainty Representation in Nonlinear Systems with High-Impact/Low-Likelihood Events”. PI: Marcos Orchard (U.Ch). Faculty of Mathematics and Physical Sciences. Department of Electrical Engineering. Universidad de Chile (2011-2013). 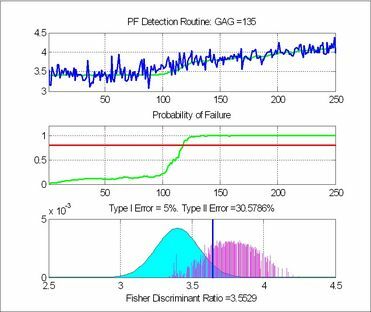 FONDECYT Project 11070022: “Sequential Monte Carlo Methods and Feedback Concepts Applied to Fault Diagnosis and Failure Prognosis in Nonlinear, Non-Gaussian Dynamic Systems”. PI: Marcos Orchard (U.Ch). Faculty of Mathematics and Physical Sciences. Department of Electrical Engineering. Universidad de Chile (2007-2009). 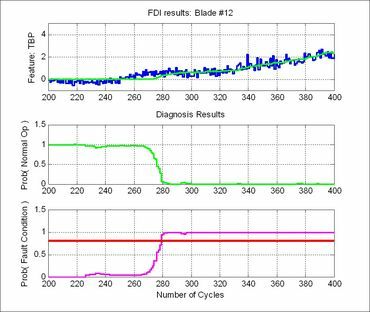 FONDECYT Project 1020741: “Fault Detection and Diagnosis in Dynamic Non Linear Time Varying Systems”. PI: Aldo Cipriano (P.U.C.) y Guillermo Gonzalez (U.Ch). Faculty of Mathematics and Physical Sciences. Department of Electrical Engineering. Universidad de Chile (2002). “Model-Based Fuzzy Predictive Control for Grinding Plants”. PI: Aldo Cipriano. Faculty of Civil Engineering. Department of Electrical Engineering. Pontificia Universidad Católica de Chile (2001). “A Full Compensating System for General Loads, Based on a Combination of Thyristor Binary Compensator and a PWM-IGBT Active Power Filter”. PI: Juan Dixon. Faculty of Civil Engineering. Department of Electrical Engineering. Pontificia Universidad Católica de Chile (2000). INCO-PROQUS “Advanced Model Based Process and Quality Supervision in Steel Production. Expert system for real time supervision”. PI: Aldo Cipriano. Faculty of Civil Engineering. Department of Electrical Engineering. Pontificia Universidad Católica de Chile (1999-2000). Department of Electrical Engineering, Faculty of Physical and Mathematical Sciences, Universidad de Chile. Department of Electrical and Computer Engineering. Georgia Institute of Technology. Atlanta, Georgia, USA. ECE 4562 "Neural Networks and Fuzzy Logic in Control"
Quintero, V.; Estevez, C.; Orchard, M.; and Pérez, A., "Improvements of Energy-Efficient Techniques in WSNs: A MAC-Protocol Approach," IEEE Communications Surveys and Tutorials (accepted). Aguila-Camacho, N.; Duarte-Mermoud, M.; Orchard, M., "Fractional order controllers for throughput and product quality control in a grinding mill circuit," European Journal of Control (accepted). Pizarro-Carmona, V.; Cortés-Carmona, M.; Palma-Behnke, R.; Calderón-Muñoz, W.; Orchard, M.; Estévez, P., "An Optimized Impedance Model for the Estimation of the State-of-Charge of a Li-Ion Cell: The Case of a LiFePO4 (ANR26650) ," Energies , 12(4), 681, 2019. Kordestani, M.; Zanj, A.; Orchard, M.; and Saif, M., "A Modular Fault Diagnosis and Prognosis Method for Hydro-control Valve System based on Redundancy in Multi-Sensor Data Information," IEEE Transactions on Reliability, vol. 68, Issue 1, pp. 330-341, 2019. Sierra, G.; Orchard, M.; Goebel, K.; Kulkarni, C., "Battery Health Management for Small-size Rotary-wing Electric Unmanned Aerial Vehicles: An Efficient Approach for Constrained Computing Platforms," Reliability Engineering and System Safety, vol. 182, pp. 166-178, 2019. Quintero, V.; Perez, A.; Estevez, C.; Orchard, M., "State-of-Charge Estimation to Improve Decision-making by MAC protocols used in WSNs," Electronics Letters , vol. 55, Issue 3, pp. 161-163, 2019. Acuña, D.; Orchard, M.; Saona, R., "Conditional Predictive Bayesian Cramér-Rao Lower Bounds for Prognostic Algorithms Design," Applied Soft Computing, vol. 72, pp. 647-665, 2018. Espinoza, S.; Silva, J.; Mendez, R.; Lobos, R.; Orchard, M., "Optimality of the Maximum Likelihood estimator in Astrometry," Astronomy and Astrophysics, vol. 616, A95, 2018. Perez, A.; Quintero, V.; Jaramillo, F.; Rozas, H.; Jimenez, D.; Orchard, M.; Moreno, R., "Characterization of the Degradation Process of Lithium-ion Batteries when Discharged at Different Current Rates," Proceedings of the iMechE, Part I: Journal of Systems and Control Engineering, vol. 232, Issue 8, pp. 1075-1089, 2018. Pérez, A.; Benavides, M.; Rozas, H.; Seria, S.; Orchard, M., "Guidelines for the Characterization of the Internal Impedance of Lithium-Ion Batteries in PHM Algorithms," International Journal of Prognostics and Health Management, vol. 9, Issue 1, pp. 1-10, 2018. Jaramillo, F.; Orchard, M.; Muñoz, C.; Zamorano, M.; Antileo, C., "Advanced strategies to improve nitrification process in sequencing batch reactors - A review," Journal of Environmental Management, vol.218, pp. 154-164, 2018. Tobar, F.; Castro, I.; Silva, F.; and Orchard, M., "Improving Battery Voltage Prediction in an Electric Bicycle Using Altitude Measurements and Kernel Adaptive Filters," Pattern Recognition Letters, vol. 105, pp. 200-206, 2018. Jaras, I.; Orchard, M., "Performance Assessment of Sequential Bayesian Processors based on Probably Approximately Correct Computation and Information Theory," Electronics Letters, vol. 56, pp. 357-369, 2018. Jaramillo, F.; Orchard, M.; Munoz, C.; Antileo, C.; Saez, D.; and Espinoza, P., "On-line estimation of the aerobic phase length for partial nitrification processes in SBR based on features extraction and SVM classification," Chemical Engineering Journal, vol. 331, pp. 114-123, 2018. Mendez, R.; Clavería, R.; Orchard, M.; and Silva, J., "Orbits for eighteen visual binaries and two double-line spectroscopic binaries observed with HRCAM on the CTIO SOAR 4m telescope, using a new Bayesian orbit code based on Monte-Carlo Markov-Chain," The Astronomical Journal, vol. 154, No. 5, 2017. Aguila-Camacho, N.; Duarte-Mermoud, M.; Le Roux, J.; and Orchard, M., "Control of a Grinding Mill Circuit using Simple Fractional Order Controllers," Journal of Process Control, vol. 53, pp. 80-94, 2017. Torres, B.; Quintero, V.; Estevez, C.; Orchard, M.; Azurdia, C., "SoC Control for Improved Battery Life and Throughput Performance under VST-TDMA," Electronics Letters, vol. 53, Issue 3, pp. 183-185, 2017. Acuña, D.; and Orchard, M., "Particle-Filtering-Based Failure Prognosis via Sigma-Points: Application to Lithium-Ion Battery State-of-Charge Monitoring," Mechanical Systems and Signal Processing, vol. 85. pp. 827-848, 2017. Ley, C. and Orchard, M., "Chi-squared smoothed adaptive particle-filtering based prognosis," Mechanical Systems and Signal Processing, vol. 82, pp. 148–165, 2017. Roje, T.; Marín, L.; Sáez, D.; Orchard, M.; and Jiménez-Estévez, G., "Consumption modeling based on Markov chains and Bayesian networks for a demand side management design of isolated microgrids," International Journal of Energy Research, vol. 41, Issue 3, pp. 365-376, DOI: 10.1002/er.3607, 2017. Díaz, M.; Zagal, J.C.; Falcon, C.; Stepanova, M.; Valdivia, J.A. ; Martínez-Ledesma, M.; Díaz, J.; Romanova, N.; Pacheco, E.; Milla, M.; Orchard, M.; Silva, J.; Mena, F.P. ; and Jaramillo, F., "New opportunities offered by cubesats for space research in Latin America: the SUCHAI project case," Advances in Space Research, vol. 58, Issue 10, pp. 2134–2147, 2016. Echeverría, A.; Silva, J.; Mendez, R.; and Orchard, M., "Analysis of the Bayesian Cramér-Rao lower bound in Astrometry: Studying the impact of prior information in the location of an object," Astronomy and Astrophysics, vol. 594, A111, 2016. Perez, A.; Moreno, R.; Moreira, R.; Orchard, M.; and Strbac, G., "Effect of Battery Degradation on Multi-Service Portfolios of Energy Storage," IEEE Transactions on Sustainable Energy, vol. 7, Issue 4, pp. 1718-1729, 2016. Mundnich, K. and Orchard, M., "Early online detection of high volatility clusters using Particle Filters," Expert Systems with Applications, 54: 228–240, 2016. Reyes-Marambio, J.; Moser, F.; Gana, F.; Severino, B.; Calderón-Muñoz, W.; Palma-Behnke, R.; Estevez, P.; Orchard, M.; Cortés, M., "A fractal time thermal model for predicting the surface temperature of air-cooled cylindrical Li-ion cells based on experimental measurements," Journal of Power Sources, 161:349-363, 2016. Burgos, C.; Orchard, M.; Kazerani, M.; Cárdenas, R.; and Sáez, D., "Particle-Filtering-Based Estimation of Maximum Available Power State in Lithium-Ion Batteries," Applied Energy, 161:349-363, 2016. Lobos, R.; Silva, J.; Mendez, R.; and Orchard, M., "Performance analysis of the Least-Squares estimator in astrometry," Publications of the Astronomical Society of the Pacific, 127: 1166-1182, Nov. 2015. Pola, D.; Navarrete, H.; Orchard, M.; Rabié, R.; Cerda, M.; Olivares, B.; Silva, J.; Espinoza, P.; and Pérez, A., "Particle-filtering-based Discharge Time Prognosis for Lithium-Ion Batteries with a Statistical Characterization of Use Profiles," IEEE Transactions on Reliability, vol. 64, Issue 2, pp. 710-720, June 2015. Orchard, M.; Lacalle, M.; Olivares, B.; Silva, J.; Palma, R.; Estévez, P.; Severino, B.; Calderon-Muñoz, W.; and Cortés M., "Information-Theoretic Measures and Sequential Monte Carlo Methods for Detection of Regeneration Phenomena in the Degradation of Lithium-Ion Battery Cells," IEEE Transactions on Reliability, vol. 64, Issue 2, pp. 701-709, June 2015. Acuña, D.; Orchard, M.; Silva, F.; and Perez A., "Multiple-imputation-particle-filtering for Uncertainty Characterization in Battery State-of-Charge Estimation Problems with Missing Measurement Data: Performance Analysis and Impact on Prognostic Algorithms," International Journal of Prognostics and Health Management, Vol. 6, (008), pp. 1-12, 2015. Burgos, C.; Sáez, D.; Orchard, M.; and Cárdenas, R., "Fuzzy Modelling for the State-of-Charge Estimation of Lead-Acid Batteries," Journal of Power Sources, vol. 274, pp. 355-366, Jan 2015. Moya, J.; Ruiz-del-Solar, J.; Orchard, M.; Parra-Tsunekawa, I., "Fall Detection and Damage Reduction in Biped Humanoid Robots," International Journal of Humanoid Robotics, vol. 12, Issue 1, Jan 2015. Severino, B.; Gana, F.; Palma-Behnke, R.; Estévez, P.; Calderón, W.; Orchard, M.; Cortés, M.; Reyes, J., "Multi-objective optimal design of lithium-ion battery packs based on evolutionary algorithms," Journal of Power Sources, vol. 26, Issue 1, pp. 288-299, December 2014. Zhang, B.; Orchard, M.; Saha, B.; Saxena, A.; Jin, Y.; and Vachtsevanos, G., "A Verification Framework with Application to a Propulsion System," Expert Systems with Applications, vol. 41, Issue 13, pp. 5669-5679, October 2014. Mundnich, K.; Orchard, M.; Silva, J.; Parada, P., "Volatility Estimation of Financial Returns using Risk-Sensitive Particle Filters," Studies in Informatics and Control, Vol. 22, No. 3, pp. 297-306, September 2013. Orchard, M. and Hevia-Koch, P., "Risk Measures for Particle-filtering-based State-of-Charge Prognosis in Lithium-Ion Batteries," IEEE Transactions on Industrial Electronics, vol. 60, No. 11, pp.5260-5269, November 2013. Olivares, B.; Cerda, M.; Orchard, M.; and Silva, J., “Particle-filtering-based Prognosis Framework for Energy Storage Devices with a Statistical Characterization of State-of-Health Regeneration Phenomena,” IEEE Transactions on Instrumentation & Measurement, vol. 62, Issue 2, pp. 364‑376, February 2013. Chen, C.; Brown, D.; Sconyers, C.; Zhang, B.; Vachtsevanos, G.; and Orchard, M., “An integrated architecture for fault diagnosis and failure prognosis of complex engineering systems,” Expert Systems with Applications, vol. 39, Issue 10, pp. 9031‑9040, August 2012. Chen, C.; Vachtsevanos, G.; Orchard, M., "Machine Remaining Useful Life Prediction: an Integrated Adaptive Neuro-Fuzzy and High-Order Particle Filtering Approach," Mechanical Systems and Signal Processing, vol. 28, pp. 597-607, April 2012. Tobar, F. and Orchard, M., "Study of Financial Systems Volatility Using Suboptimal Estimation Algorithms," Studies in Informatics and Control, vol. 21, Issue 1, pp. 59‑66, March 2012. Chen, C.; Vachtsevanos, G.; Orchard, M., “Machine Condition Prediction Based on Adaptive Neuro-Fuzzy and High-Order Particle Filtering," IEEE Transactions on Industrial Electronics, vol. 58, no. 9, pp. 4353-4364, September 2011. Mascaró, M.; Cabello, F.; Parra, S.I. ; Vallejos, P.; Guerrero, P.; Ehrenfeld, A.; Acuña, A.; Ruiz del Solar, J.; and Orchard, M., “Instrumentación, Actuación e Implementación de Control Difuso de Bajo Nivel en Vehículo Terrestre Autónomo de Escala Real,” Anales del Instituto de Ingenieros de Chile, Vol. 123, no. 2, pp.53-61, Aug. 2011. Zhang, B.; Sconyers, C.; Byington, C.; Patrick, R.; Orchard, M.; and Vachtsevanos, G., “A Probabilistic Fault Detection Approach: Application to Bearing Fault Detection,” IEEE Transactions on Industrial Electronics, vol. 58, no. 5, pp. 2011-2018, May 2011. Orchard, M.; Tang, L.; Saha, B.; Goebel, K.; and Vachtsevanos, G., “Risk-Sensitive Particle-Filtering-based Prognosis Framework for Estimation of Remaining Useful Life in Energy Storage Devices,” Studies in Informatics and Control, vol. 19, Issue 3, pp. 209-218, September 2010. Orchard, M.; Tobar, F.; and Vachtsevanos, G., “Outer Feedback Correction Loops in Particle Filtering-based Prognostic Algorithms: Statistical Performance Comparison,” Studies in Informatics and Control, vol. 18, Issue 4, pp. 295-304, December 2009. 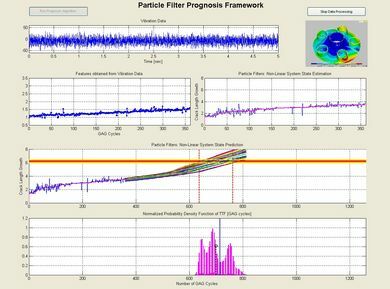 Orchard, M., and Vachtsevanos, G., “A Particle Filtering Approach for On-Line Failure Prognosis in a Planetary Carrier Plate,” International Journal of Fuzzy Logic and Intelligent Systems, vol. 7, no. 4, pp. 221-227, 2007. Gonzalez G.D.; Orchard, M.; Cerda J.L. ; Casali A.; and Vallebuona, G., “Local models for soft-sensors in a rougher flotation bank," Minerals Engineering, vol. 16, no.5, pp. 441-453, 2003. Dixon, J.; del Valle, Y.; Orchard, M.; Ortúzar, M.; Morán, L.; and Maffrand C., “A Full Compensating System for General Loads, Based on a Combination of Thyristor Binary Compensator, and a PWM-IGBT Active Power Filter,” IEEE Transactions on Industrial Electronics, vol. 50, no. 5, pp. 982-989, 2003. 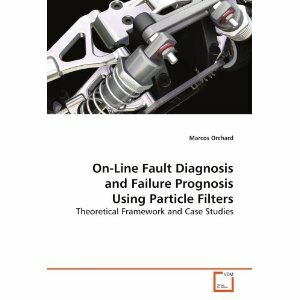 Orchard, M., “On-line Fault Diagnosis and Failure Prognosis Using Particle Filters. Theoretical Framework and Case Studies”, Publisher: VDM Verlag Dr. Müller Aktiengesellschaft & Co. KG, Saarbrücken, Germany, April 2009, 108 pages. Orchard, M., Vachtsevanos, G., and Goebel, K., “Machine Learning and Knowledge Discovery for Engineering Systems Health Management”, Ed. Srivastava, A. and Han, J.; Chapter Title: “A Combined Model-Based and Data-Driven Prognostic Approach for Aircraft System Life Management”, Publisher: CRC Press Taylor & Francis Group, United States, 2012, pp. 363-394. Goebel, K., Vachtsevanos, G., and Orchard, M.,“ Integrated Vehicle Management, The Technology”, Ed. 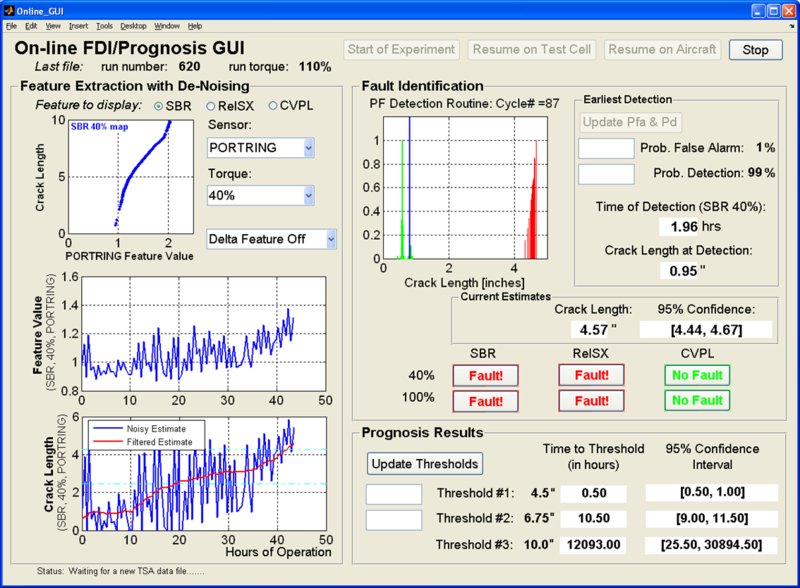 Jennions, I.; Chapter Title: “Prognosis”, Publisher: SAE International, United States, 2013, pp. 49-70. Villalpando, P.; Meruane, V.; Boroschek, R.; and Orchard, M.,“ Dynamics of Civil Structures, Volume 2”, Ed. Pakzad, S. & Caicedo, J.; Chapter Title: “Damage Location by Maximum Entropy Method on a Civil Structure”, Publisher: Springer, New York, LCC, 2016, pp. 105-116. Orchard, M. and Acuña, D.,“ Predictive Maintenance in Dynamic Systems”, Ed. Lughofer, E. & Sayed-Mouchaweh, M.; Chapter Title: “On Prognostic Algorithm Design and Fundamental Precision Limits in Long-Term Prediction”, Publisher: Springer, New York, LCC, 2019, pp. 355-380. 2011-2015, 2017 Best Lecturer. Department of Electrical Engineering. Universidad de Chile. 2011 A SAGE 2010 most downloaded article. 2010 Best Paper Award: Annual Conference of the PHM Society 2010. 2009-2011 President of the “Chilean Association of Automatic Control”-ACCA. Chilean NMO of IFAC. 2003-2006 "President of the Republic" Scholarship: Graduate Studies Abroad. Ministry of Planning (MIDEPLAN), Santiago, Chile. 2003-2005 Fulbright Grant. Graduate Studies. Fulbright-Chile, Santiago, Chile. 2002 "Roberto Ovalle Aguirre" Award. Best National Thesis Work. Chilean Institute of Engineers, Santiago, Chile. 2001 Best Senior Student. Department of Electrical Engineering, Pontificia Universidad Católica de Chile, Santiago, Chile. Tamssaouet, F.; Nguyen, K.; Medjaher, K.; Orchard, M., "Uncertainty Quantification in System-level Prognostics: Application to Tennessee Eastman Process ," 2019 6th International Conference on Control, Decision and Information Technologies (CODIT'19), April 23rd-26th, 2019, Paris, France. Acuña, D.; Orchard, M., "A Theoretically Rigorous Approach to Failure Prognosis," Annual Conference of the Prognostics and Health Management Society 2018 - PHM18, September 24th-27th, 2018, Philadelphia, PA, USA. Sierra, G.; Orchard, M.; Kulkarni, C.; Goebel, K., "A Hybrid Battery Model for Prognostics in Small-size Electric UAVs," Annual Conference of the Prognostics and Health Management Society 2018 - PHM18, September 24th-27th, 2018, Philadelphia, PA, USA. Reyes, C.; Jaramillo, F.; Zhang, B.; Kulkarni, C.; Orchard, M., "Just-in-time Point Prediction Using a Computationally-efficient Lebesgue-sampling-based Prognostic Method," Annual Conference of the Prognostics and Health Management Society 2018 - PHM18, September 24th-27th, 2018, Philadelphia, PA, USA. Quintero, V.; Perez, A.; Jaramillo, F.; Estevez, C.; Orchard, M., "Procedure for Selecting a Transmission Mode Dependent on the State-of-charge and State-of-health of a Lithium-ion Battery in Wireless Sensor Networks with Energy Harvesting Devices," Annual Conference of the Prognostics and Health Management Society 2018 - PHM18, September 24th-27th, 2018, Philadelphia, PA, USA. Rozas, H.; Clavería, R.; Orchard, M.; and Medjaher, K., "Residual-based scheme for detection and characterization of faults in lithium-ion batteries," 10th IFAC Symposium on Fault Detection, Supervision, and Safety for Technical Processes - SAFEPROCESS 2018, August 29th-31st, 2018, Warsaw, Poland. Rozas, H.; Muñoz-Carpintero, D.; Perez, A.; Medjaher, K.; and Orchard, M., "An Approach to Prognosis-Decision-Making for Route Calculation of an Electric Vehicle Considering Stochastic Traffic Information," Fourth European Conference of the Prognostics and Health Management Society 2018 - PHME 2018, July 3rd-6th, 2018, Utrecht, Netherlands. Pérez, A.; Jaramillo, F.; Quintero, V.; and Orchard, M., "Characterizing the Degradation Process of Lithium-ion Batteries Using a Similarity-Based-Modeling Approach," Fourth European Conference of the Prognostics and Health Management Society 2018 - PHME 2018, July 3rd-6th, 2018, Utrecht, Netherlands. Pérez, A.; Quintero, V.; Rozas, H.; Jimenez, D.; Jaramillo, F.; and Orchard, M., "Lithium-Ion Battery Pack Arrays for Lifespan Enhancement," IEEE CHILECON 2017, October 18th-20th, 2017, Pucón, Chile. Seria, S.; Quintero, V.; Espinoza, P.; Pérez, A.; Jaramillo, F.; Benavides, M.; Orchard, M., "Electric Bicycle Energy Management Given an Elevation Traveling Profile," Annual Conference of the Prognostics and Health Management Society 2017 - PHM17, October 2nd-5th, 2017, St. Petersburg, FL, USA. Espinoza, P.; Pérez, A.; Orchard, M.; Navarrete, H.; Pola, D., "A Simulation Engine for Predicting State-of-Charge and State-of-Health in Lithium-Ion Battery Packs of Electric Vehicles," Annual Conference of the Prognostics and Health Management Society 2017 - PHM17, October 2nd-5th, 2017, St. Petersburg, FL, USA. Jaramillo, F.; Quintero, V.; Pérez, A.; Orchard, M., "Spatio-temporal Probabilistic Modeling Based on Gaussian Mixture Models and Neural Gas Theory for Prediction of Criminal Activity," Annual Conference of the Prognostics and Health Management Society 2017 - PHM17, October 2nd-5th, 2017, St. Petersburg, FL, USA. Pérez, A.; Benavides, M.; Rozas, H.; Seria, S.; Orchard, M., "A Practical Guide for the Characterization of Lithium-Ion Battery Internal Impedances in PHM Algorithms," Asia Pacific Conference of the Prognostics and Health Management Society 2017, July 12th-15th, 2017, Jeju Island, South Korea. Acuña, D. and Orchard, M., "Prognostic Algorithms Design based on Predictive Bayesian Cramér-Rao Lower Bounds," 20th IFAC World Congress, July 9th-14th, 2017, Tolouse, France. Baloian, N.; Bassaletti, E.; Fernández, M.; Figueroa, O.; Fuentes, P.; Manasevich, R.; Orchard, M., Peñafiel, S.; Pino, J.; Vergara, M., "Crime Prediction using Patterns and Context," Proceedings of the 2017 IEEE 21st International Conference on Computer Supported Cooperative Work in Design - CSCWD'17, April 26th-28th, 2017, Wellington, New Zealand. Pérez, A.; Quintero, V.; Rozas, H.; Jaramillo, F.; Moreno, R.; and Orchard, M., "Modelling the Degradation Process of Lithium-Ion Batteries when Operating under Different Levels of State of Charge," 4th International Conference on Control, Decision and Information Technologies - CoDIT'17, April 5th-7th, 2017, Barcelona, Spain. Pola, D.; Guajardo, F.; Jofré, E.; Quintero, V.; Perez, A.; Acuña, D.; and Orchard, M., "Particle-Filtering-Based State-of-Health Estimation and End-of-Life Prognosis for Lithium-Ion Batteries at Operation Temperature," Annual Conference of the Prognostics and Health Management Society 2016 - PHM16, October 3rd-6th, 2016, Denver, CO, USA. Yan, W.; Zhang, B.; and Orchard, M., "Parameters Optimization of Lebesgue Sampling-based Fault Diagnosis and Prognosis with application to Li-ion Batteries," Annual Conference of the Prognostics and Health Management Society 2016 - PHM16, October 3rd-6th, 2016, Denver, CO, USA. Clavería, R.; Acuña, D.; Mendez, R.; Silva, J.; and Orchard, M., "Application of Multiple-imputation-particle-filter for Parameter Estimation of Visual Binary Stars with Incomplete Observations," Annual Conference of the Prognostics and Health Management Society 2016 - PHM16, October 3rd-6th, 2016, Denver, CO, USA. Perez, A.; Orchard, M.; Silva, J.; and Cornejo, F., "Dynamic Vector Model Applied to Wind Speed Prognosis for Eolic Generation," Third European Conference of the Prognostics and Health Management Society 2016 - PHME16, July 5th-8th, 2016, Bilbao, Spain. Boroschek, R.; Villalpando, P.; Orchard, M.; and Meruane, V., "Damage Location by Maximum Entropy Method on a Civil Structure," IMAC-XXXIV Conference & Exposition on Structural Dynamics, January 25th-28th, 2016, Orlando, FL, USA. Flores, P.; Vergara, M.; Fuentes, P.; Jaramillo, F.; Acuña, D.; Perez, A.; and Orchard, M.; , "Modeling and Prediction of Criminal Activity Based on Spatio-Temporal Probabilistic Risk Functions," Annual Conference of the Prognostic and Health Management Society 2015, October 19th-24th, 2015, San Diego, CA, USA. Tampier, C.; Pérez, A.; Jaramillo, F.; Quintero, V.; Orchard, M.; and Silva, J., "Lithium-Ion Battery End-of-Discharge Time Estimation and Prognosis based on Bayesian Algorithms and Outer Feedback Correction Loops: A Comparative Analysis," Annual Conference of the Prognostic and Health Management Society 2015, October 19th-24th, 2015, San Diego, CA, USA. Gonzalez-Prida, V.; Orchard, M.; Martin, C.; Crespo, A.; and Soto, A., "Inequality indices based on the notion of Shannon-Entropy for the assessments of industrial fleets," 10th World Congress on Engineering Asset Management – WCEAM 2015, September 28th-30th, 2015, Tampere, Finland. Acuña, D.; Orchard, M.; Silva, J.; and Pérez, A., "Multiple-imputation-particle-filtering scheme for Uncertainty Characterization in Battery State-of-Charge Estimation Problems with Missing Measurement Data," Annual Conference of the PHM Society 2014, September 29th - October 2nd, 2014, Fort Worth, TX, USA. Tobar, F.; Orchard, M.; Mandic, D.; and Constantinides, A., "Estimation of financial indices volatility using a model with time-varying parameters," Computational Intelligence for Financial Engineering & Economics (CIFEr), 2104 IEEE Conference on, March 27th-28th 2014, London, U.K.
Carricajo, T., Kripper, F., Orchard, M., Yacher, L., Paredes, R., “Anomaly Detection in Gas Turbine Compressor of a Power Generation Plant using Similarity-based Modeling and Multivariate Analysis,” Annual Conference of the PHM Society 2013, October 14-17, 2013, New Orleans, LA, USA. Orchard, M., Lacalle, M., Olivares, B., Cerda, M., and Silva, J., “Information-Theoretic Measures and Sequential Monte Carlo Methods for Detection of Regeneration Phenomena in the Degradation of Energy Storage Devices,” 2013 Prognostics and System Health Management Conference, 8-11 September 2013, Milano, Italy. Orchard, M., Olivares, B., Cerda, M. and Silva, J., “Anomaly Detection Based on Information-Theoretic Measures and Particle Filtering Algorithms,” Annual Conference of the Prognostics and Health Management Society 2012, September 23th‑27th 2012, Minneapolis, MN, USA. Moreno, G., Sáez, D., and Orchard, M., "A New Method for Identification of Fuzzy Models based on Evolutionary Algorithms and its Application to the Modeling of a Wind Turbine," 9th International Conference on Control and Automation - ICCA 2011, December 19th-21th 2011, Santiago, Chile. Cabello, F., Acuña, A., Vallejos, P., Orchard, M., and Ruiz del Solar, J., "Design and Validation of a Fuzzy Longitudinal Controller Based on a Vehicle Dynamic Simulator," 9th International Conference on Control and Automation - ICCA 2011, December 19th-21th 2011, Santiago, Chile. Orchard, M., Silva, J., and Tang, L., “A Probabilistic Approach for Online Model-based Estimation of SOH/SOC and use profile characterization for Li-Ion Batteries,” Battery Management Workshop, Annual Conference of the Prognostics and Health Management Society 2011, September 25th-29th 2011, Montreal, QB, Canada. Orchard, M., Tang, L. and Vachtsevanos, G., “A Combined Anomaly Detection and Failure Prognosis Approach for Estimation of Remaining Useful Life in Energy Storage Devices,” Annual Conference of the Prognostics and Health Management Society 2011, September 25th-29th 2011, Montreal, QB, Canada. Tobar, F., Yacher, L., Paredes, R. and Orchard, M., "Anomaly Detection in Power Generation Plants using Similarity-based Modeling and Multivariate Analysis," 2011 American Control Conference - ACC2011, June 29-July 1 2011, San Francisco, CA, USA. Tang, L and Orchard, M., Goebel, K., and Vachtsevanos, G., "Novel Metrics and Methodologies for the Verification and Validation of Prognostic Algorithms," 2011 IEEE Aerospace Conference, March 5-12, 2011, Big Sky, Montana, USA. Chen, C., Brown, D., Sconyers, C., Vachtsevanos, G., Zhang, B., and Orchard, M., “A .NET Framework for an Integrated Fault Diagnosis and Failure Prognosis Architecture,” IEEE AUTOTESTCON 2010, September 13th‑16th 2010, Orlando, FL, USA. Tobar, F., and Orchard, M., “Study of Financial Systems Volatilty Using Suboptimal Algorithms,” XIV Congreso Latinoamericano de Control Automático, August 24th-27th 2010, Santiago, Chile. Acuña, A., and Orchard, M., “Diagnóstico de Fallas en Válvulas de Flujo en Simulador de Planta Evaporadora de dos Etapas,” XIV Congreso Latinoamericano de Control Automático, August 24th-27th 2010, Santiago, Chile. Zhang, B., Sconyers, C., Orchard, M., Patrick, R., and Vachtsevanos, G., “Fault Progression Modeling: An Application to Bearing Diagnosis and Prognosis,” 2010 American Control Conference–ACC2010, June 30th-July 2nd 2010, Baltimore, MD, USA. Brown, D., Georgoulas, G., Bole, B., Pei, H-L, Orchard, M., Tang, L., Saha, B., Abhinav Saxena, A., Goebel, K., and Vachtsevanos, G., “Prognostics Enhanced Reconfigurable Control of Electro-Mechanical Actuators,” First Annual Conference of the Prognostics and Health Management Society, 2009, San Diego, CA, USA. Orchard, M., Kacprzynski, G., Goebel, K., Saha, B., and Vachtsevanos, G., “Advances in Uncertainty Representation and Management for Particle Filtering Applied to Prognostics,” 1st International Conference on Prognostics and Health Management – PHM08, October 6-9, Denver, CO, USA. Zhang, B., Sconyers, C., Byington, C., Patrick, R., Orchard, M., and Vachtsevanos, G., “Anomaly detection: A robust approach to detection of unanticipated faults,” 1st International Conference on Prognostics and Health Management – PHM08, Denver, CO, USA, October 6-9, 2008. Zhang, B., Georgoulas, G., Orchard, M., Saxena, A., Brown, D., Vachtsevanos, G., and Liang, S., “Rolling Element Bearing Feature Extraction and Anomaly Detection Based on Vibration Monitoring,” 16th Mediterranean Conference on Control and Automation – MED’08, June 25-27, 2008, Congress Centre, Ajaccio, Corsica, France. Tang, L., Kacprzynski, G., Goebel, K., Reimann, J., Orchard, M., Saxena, A., and Saha, B., “Prognostics in the Control Loop,” Proceedings of the 2007 AAAI Fall Symposium on Artificial Intelligence for Prognostics, November 9-11, 2007, Arlington, VA.
Patrick R., Orchard, M., Zhang, B., Koelemay, M., Kacprzynski, G., Ferri, A., Vachtsevanos, G., “An Integrated Approach to Helicopter Planetary Gear Fault Diagnosis and Failure Prognosis,” 42nd annual Systems Readiness Technology Conference, AUTOTESTCON 2007, Baltimore, USA, Sept. 2007. Zhang, B., Khawaja, T., Patrick R., Vachtsevanos, G., Orchard, M., Saxena, A., “Use of Blind Deconvolution De-Noising Scheme in Failure Prognosis,” 42nd annual Systems Readiness Technology Conference, AUTOTESTCON 2007, Baltimore, USA, Sept. 2007. Orchard, M., and Vachtsevanos, G., “A Particle Filtering-based Framework for Real-time Fault Diagnosis and Failure Prognosis in a Turbine Engine,” 15th Mediterranean Conference on Control and Automation – MED’07, Athens, Greece, 2007. Abbas, M., Ferri, A., Orchard, M., Vachtsevanos, G., “An Intelligent Diagnostic/Prognostic Framework for Automotive Electrical System,” 2007 IEEE Intelligent Vehicles Symposium-IV'07, Istanbul, Turkey, June 13-15, 2007. Tang, L., Saxena, A., Orchard, M., Kacprzynski, G., Vachtsevanos, G., and Patterson-Hine, A., “Simulation-based Design and Validation of Automated Contingency Management for Propulsion Systems,” IEEE Aerospace Conference 2007. Big Sky, Montana, March 03-10, 2007. Saxena, A., Orchard, M., Zhang, B., Vachtsevanos, G., Tang, L., Lee, Y., and Wardi, Y., “Automated Contingency Management for Propulsion Systems,” Proceedings of the 2007 European Control Conference ECC2007 Kos, Greece, July 2- 5, 2007. 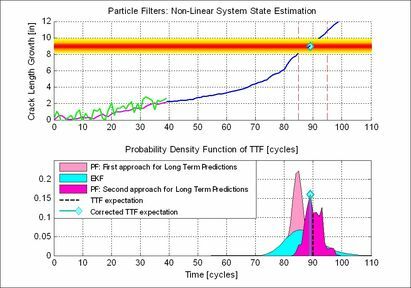 Orchard, M., Wu, B., and Vachtsevanos, G., “A Particle Filter Framework for Failure Prognosis,” Proceedings of WTC2005 World Tribology Congress III. Washington D.C., USA, Sept. 12-16, 2005. Yacher, L., and Orchard, M., “Statistical Multivariate Analysis and Dynamics Monitoring for Plant Supervision Improvement,” Copper International Conference 2003. Nov. 2003, Santiago, Chile. Romero F. and Orchard M. “Statistical Multivariable Analysis for Improved Plant Control”. 2003 SME Annual Meeting & Exhibit, Cincinnati, Ohio, USA, Feb. 2003. Del Valle, Orchard, Dixon, Morán. “Control system for a Thyristor Binary Compensator (TBC)”. XV Congreso Chileno de Control Automático, ACCA 2002. Santiago, Chile, 2002. Alexei Lisounkin, Gerhard Schreck, Jonas Paiuk, Franco Muratori, Mariana Viale, Andrés Vigliocco, Aldo Z. Cipriano, Marcos C. Orchard, Benjamin Kuchen, Andrés Lage, Francisco Rossomando, Hans-Werner Schmidt, Ramón Galán, Agustin Jimenez. “Advanced Model Based Process Supervision in Hot Steel Milling”. 15th Triennial World Congress of the International Federation of Automatic Control (IFAC), 21st - 26th July, 2002, Barcelona, Spain. Marcos Orchard C., A. Flores, C. Muñoz, A. Cipriano. “Model-based predictive control with fuzzy characterization of goals and constraints, applied to the dynamic optimization of grinding plants”. FUZZ-IEEE 2001. Melbourne, Australia. Dec. 2001. Marcos Orchard C., Aldo Cipriano M., Aldo Cipriano Z., Mariana Viale, Andrés Vigliocco. “A model based fault detection and diagnosis system for rolling mill equipments”. European Control Conference. Faculdade de Engenharia da Universidade do Porto. Instituto de Sistemas e Robótica. Porto, Portugal. Sept. 2001. Marcos Orchard C., Aldo Cipriano M., Aldo Cipriano Z., Mariana Viale, Andrés Vigliocco. “Design of a model based fault detection and diagnosis system for rolling mill equipments”. XIV Congreso Chileno de Control Automático. Universidad del Bío Bío, Concepción, Chile. Oct. 2000. Dixon, Del Valle, Orchard, Maffrand, Morán. “Nueva Topología para un Compensador de Reactivos Libre de Armónicos Usando Válvulas Unidireccionales”. XIII Congreso de Ingeniería Eléctrica. Universidad de Santiago de Chile. Nov. 1999. Plenary Speaker, 2013 Prognostics and System Health Management Conference, 8-11 September 2013, Milano, Italy. Guest Editor, Studies in Informatics and Control (2011). Orchard. M., “Anomaly Detection and Remaining Useful Life Prediction of Equipment based on Data Mining and Probabilistic Models”. X Encuentro de Gestión de Activos Físicos, Pontificia Universidad Católica de Chile, Santiago, Chile, June 2011. Conference Chair, XIV Latin American Congress of Automatic Control, August 2010. Orchard, M., “VI Escuela de Verano Latinoamericana en Inteligencia Computacional” and “III Escuela de Verano Latinoamericana en Robótica” EVIC 2009 (15th -18th December 2009, Santiago, Chile). Keynote Speaker “Data Mining and Virtual Sensors: Application to Anomaly Detection and Failure Prognosis”. Orchard, M., “XVIII Congreso de la Asociación Chilena de Control Automático” ACCA 2008 (10th -12th December 2008, Santiago, Chile). Keynote Speaker “Fault Diagnosis for Reconfigurable Control”. Yacher L. and Orchard M., “Pattern analysis for process deviations early alert and cause-effect relationships evaluation”. 2003 OSISoft Users Conference. San Francisco, California, USA, May 2003.